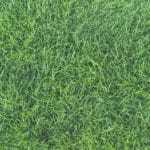 Brief Description: Light layer of blue-gray, yellow, or black dust coating the grass blades in irregular patches. Slime Mold is caused by the fungus Mucilago spp., and grows best in hot, humid conditions, usually requiring temperatures or 75 degrees F or higher. Being non-parasitic, it is one of the less harmful lawn diseases and should do no long-term damage to your lawn. 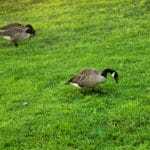 Though the fungal spores that give the disease color can block some light from the grass blades, it is uncommon for the grass to turn yellow beneath it. 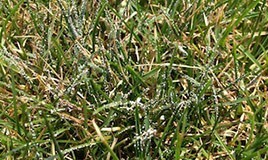 Most forms of Slime Mold can be eradicated simply by raking the grass. If left to its own devices, Slime Mold will vanish on its own within weeks. Because there are different types of slime molds, they may infect your lawn from spring through summer, though they are more common in late summer when the weather is warmer. This fungal disease is bright and showy, standing out in a green lawn with its unhealthy looking colors (blue-gray, yellow, black). Contrary to its appearance, Slime Mold will do little if any long term damage. 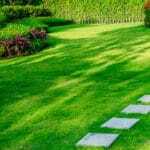 After a few weeks the color naturally recedes, leaving your lawn as it was, though some slight yellowing due to the spores blocking sunlight from the grass blades is possible. 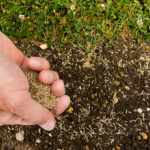 In order to prevent Slime Mold, it is a good idea to reduce humidity on your lawn in the summer as much as possible by watering early in the day before the sun can heat the moisture left on the grass blades. Core aeration can also help to reduce humidity and limit the spread of Slime Mold during the cooler months when the disease spreads. Additionally, avoid applying nitrogen to aid the growth of your lawn while Slime Mold is active. Fungicides are rarely necessary after an infection, though they could be used to prevent an infection.